The anticipation was soon relieved, and in spectacular style. SRC came away from the weekend with 14.75 Gold medals to our name – more than twice that of any other club. This was the first time we’ve won the Medal tally since 2002. President Keith Jameson commented on how he could barely keep up taking photos of all our medallists. On Saturday morning, our Senior A athletes shone, with David Watts taking Bronze in a blistering ME1x field, before the all Sydney combination of Josh Hicks and Sam Hardy took a Bronze in the ME2- behind Spencer in Silver. The U21 Men’s and Women’s eights are perhaps two of the most exciting events of the regatta, if not the entire season. For many, it’s their first chance to race 2km in an eight since school, and our men and women were bursting at the seams to show what they could lay down in sky blue. 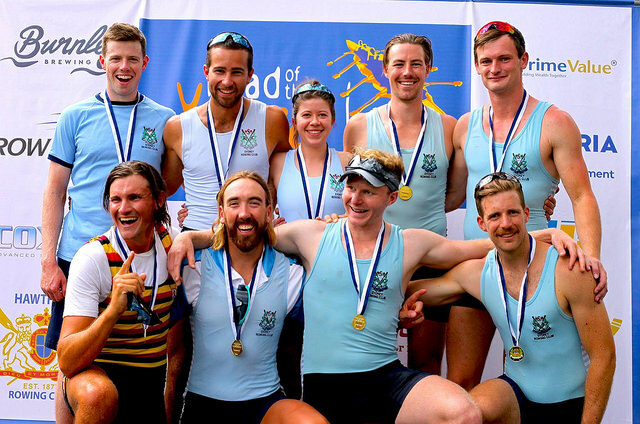 This year saw the first time we had ever fielded a WU21 8+, and didn’t they impress. The girls led the race through the 1km, constantly battling with the crew from “Toowong”. 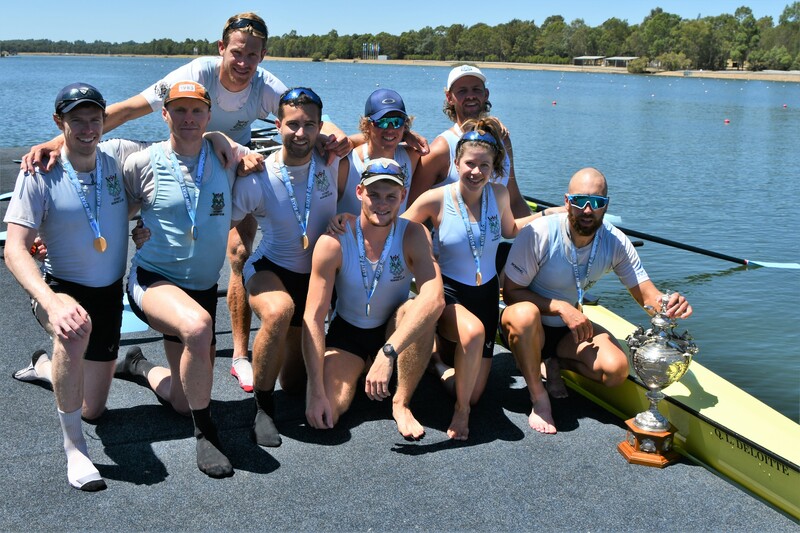 A gold was not to be however, with the Beefcakes picking up a bronze, finishing narrowly behind a Mercantile crew who dominated them at Head of the Yarra last year, and the QLD youth eight who took Gold. 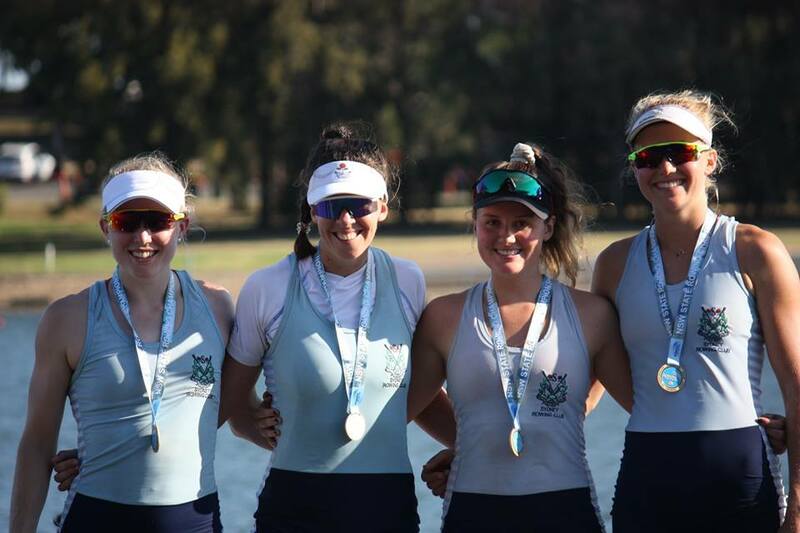 This result is hugely promising for the four girls in this crew (Furrer, Graham, Piper, Thomson) who are likely to be representing NSW for the Bicentennial Cup at the Interstate regatta next month. 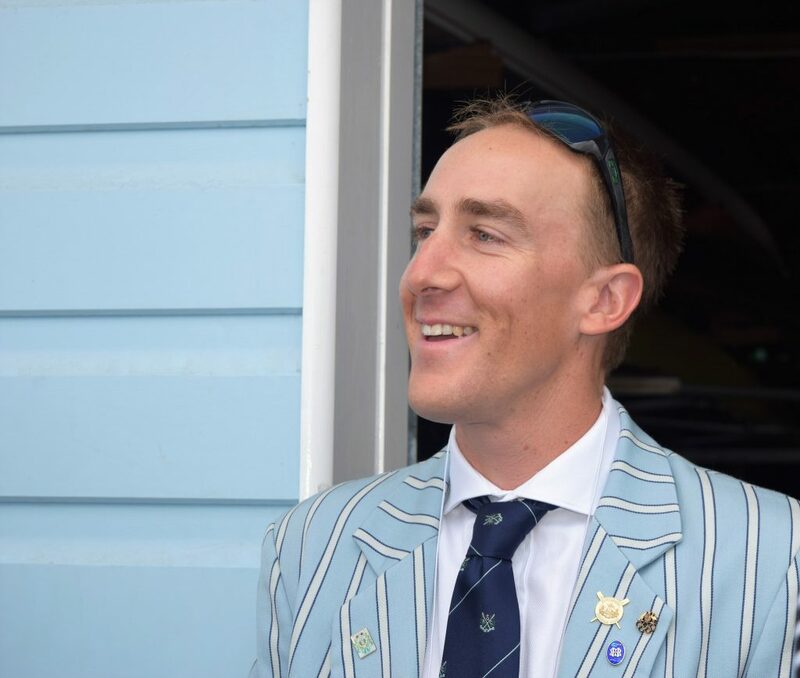 Our Men’s crew, under the watchful eye of coach Franz Imfeld, have been targeting this event for months, and were keen to get up over rivals Sydney University, who got one over them last year. The heat proved that the strongest threat was from MUBC, Franz’s former club, who took out the fastest qualifying spot in the heat. Our boys however didn’t let that faze them, after a quick cuddle between pair partners in the ice baths, the yewthies were back on the water for the final, raring to go. They knew they couldn’t let anyone get the slip on them out of the blocks like in the heat. Despite an incredible last 250 from MUBC, Sydney’s wattage in the middle of the race had left them with an unassailable lead. Stroke man and former 3 seat Alex Potter was quoted as saying, “You know, I got to the 1k and I look across and I think ‘I have the legs’ and so I went and they didn’t have the legs so I won, its great you know”. 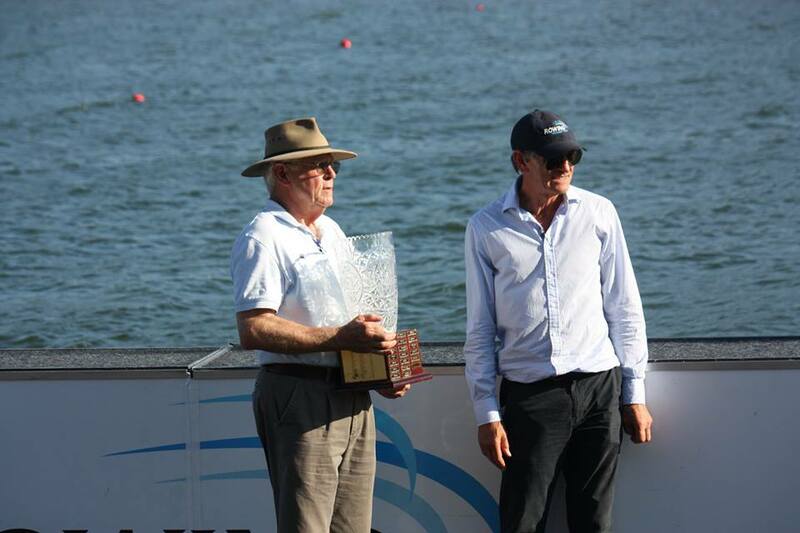 The last time Sydney Rowing Club won the U21 M8+ was in 1998, when the crew contained club legends James Chapman, Nick Baxter, and Glenn Bates. This is a huge achievement, and will hopefully not be the last eight’s trophy these men take home this season. U21 Men’s 8+ with the Colleagues cup. The first time Sydney has won the event in any of their lifetimes. Saturday finished off with a pair of Golds for our U17 Double sculls, seeing Lily Gavan and Sarah Abrams team up to take the women’s event, followed by Michael Campbell and Gordon Appelcryn taking out the Men’s equivalent. This was the first of a slew of medals for Brenda’s junior program. Sunday kicked off with Jackson Kench and Harry Crouch taking out their heat, and backing up to place 5th in the final of the U23 M2-. Given the field included numerous international medallists, and Jackson and Harry have only been together about 6 weeks, this was a fantastic result. In the Women’s running of this category, ‘Party Pair’ Issy Furrer and Lauren Graham took 4th, again a promising result racing up an age group. The highlight of Sunday morning had to be our senior NTC men – joined by Hamish McDonald, Alex Potter, and Alex Nichol – bringing the Q.L. Deloitte trophy in the Elite Men’s Eight. This was the maiden row for our new eight, coincidentally also named the Q.L. Deloitte, huge power move. After a barrage of medals in both U21 pairs, both the U21 and U23 women’s doubles, both U21 quads, as well as the U17 singles, we came to the last event of the day. The Women’s Elite Quad. 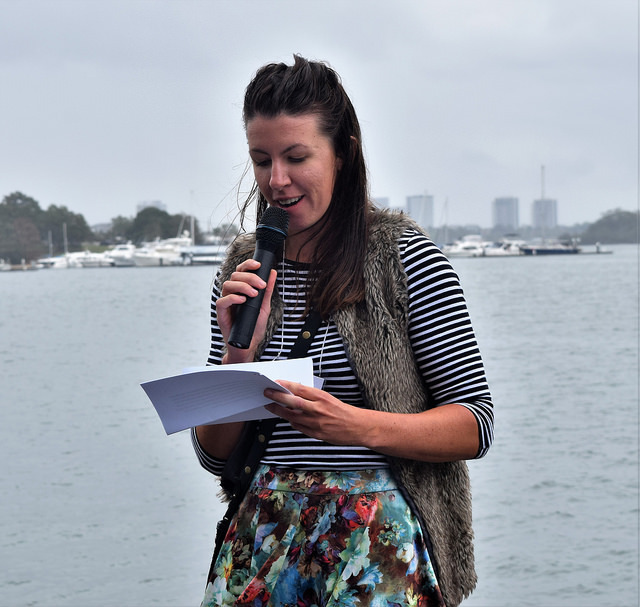 Sydney were champions in this event in 2018, when they crew of Romy Davenport, Leah Saunders, Lauren Lyon, and Harriet Hudson, stormed passed Mercantile after they caught a crab in choppy conditions just before the line. 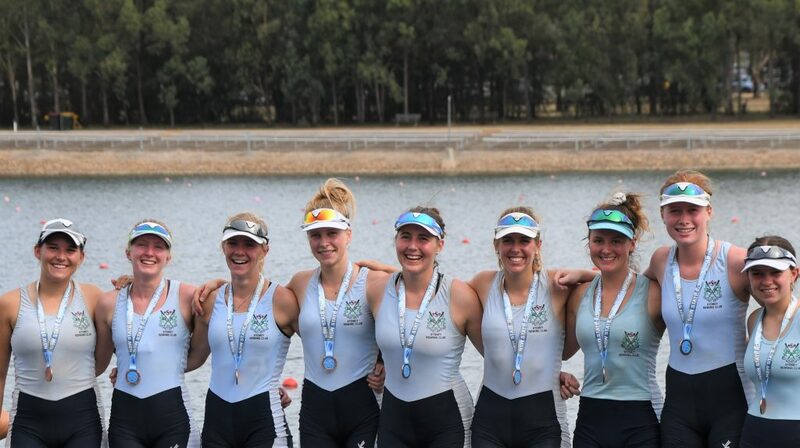 In 2019, defending their title, our girls had the daunting task of taking on Sydney Uni’s elite women, all of whom had a wealth of international experience and medals to their names. By the halfway mark, SUBC had a lead of nine seconds, things were not looking good. However, at the 1500m mark bow seat Lauren Lyon could hear the leaders getting closer, bewildered, she looked around to find that they had broken an oar in the rough tailwind. 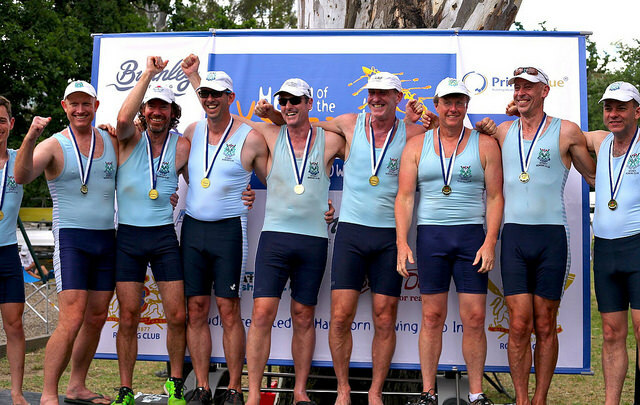 And so, in the spirit of Steven Bradbury who 17 years and 2 days earlier took home Australia’s first ever winter Olympic Gold Medal, Sydney Rowing Club charged home to defend their title in the WE4x. True Australian heroes. 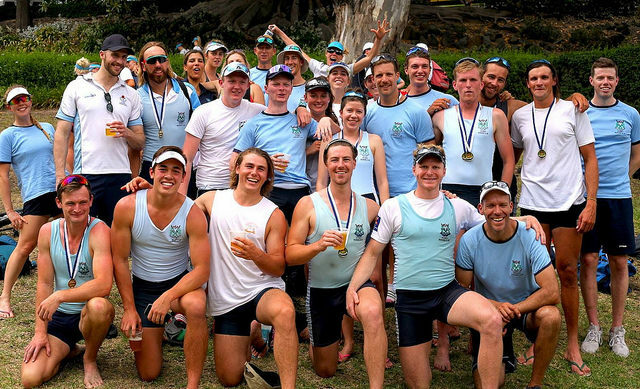 Despite having taken out the nationals a few times recently, NSW State Champs has always been a tough one for the club. This being the first time we have won the point score since 2001 leaves Sydney in one of the best positions moving towards nationals that we have ever been in. This was our first regatta of 2018 and only a week out from our 3-week training camp in Perisher Valley/Jindabyne. Many of the athletes were feeling a bit lethargic and tired from camp still but managed to pull off some impressive performances. Harriet Hudson, in particular, put on a master class display of single sculling in the Women’s Elite event. The 20-year-old won her heat against several NTC athletes and finished 4th in the final in an outstanding field of Senior National representatives. Later in the day, she teamed up with Romola Davenport to win the U23 Double ahead of SRC’s U21 combination of Crystal Piper and Lauren Lyon who came in second. 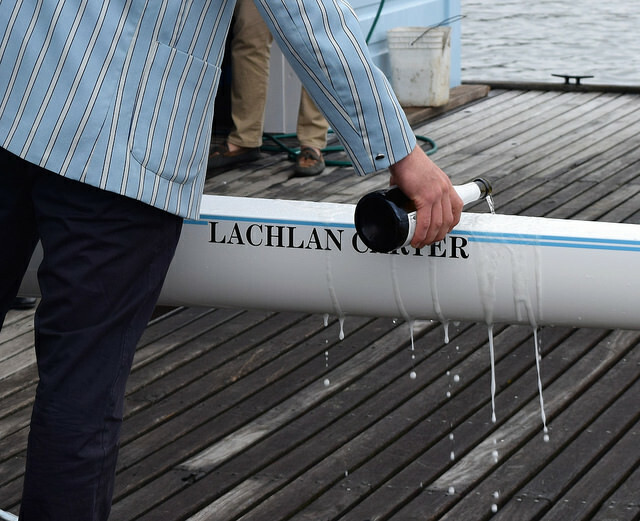 There were a few other notable victories in the Elite double sculls with Nick Clifton and Dylan Boakes taking out the Men’s category and Eleanor Disney with Madison Brown winning the Women’s event. Max Brenner and Lucas Giles took out the U21 double with Tal Lewis and Wyatt Batt coming in narrowly behind them in second place. Jake Brighton and Pat Graham finished the U23 double in a respectable second place. 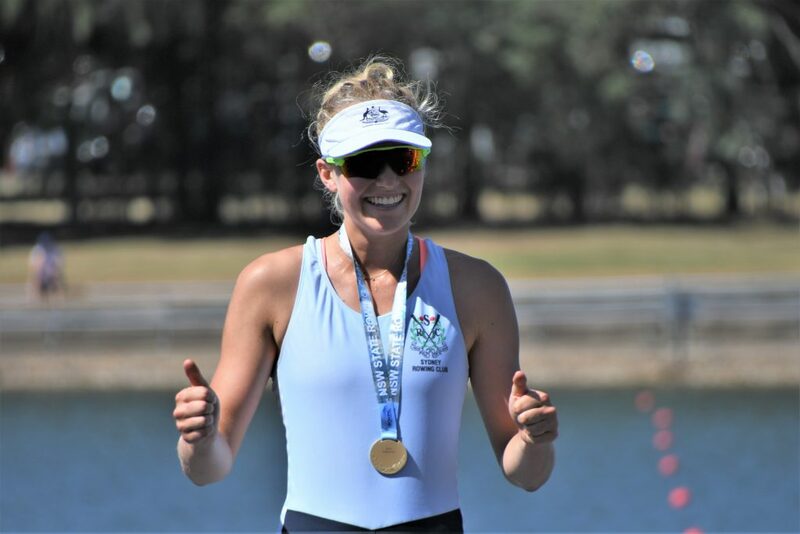 Lauren Lyon put on a man of the match winning performance to qualify fastest in the U21 single scull and followed it up with a personal best time of 8:02 in the final finishing in second place. Lauren Louise Lyon’s lacklustre left leg looked to be lingering a little but as it lengthened out it looked like lightening further along down the line. Our U21 pair duo of Jackson Kench and Alex Nichol have been watching too many World Championship videos it seems and thought they could emulate what the lightweight Irish pair did in 2017 – which was to rate 40spm the whole way down the course. It was a gutsy effort but unfortunately, since neither of them is Irish, they weren’t quite crazy enough to hold onto it in the last 200m where they were overtaken to finish 1.5sec behind the winners. This was a tough lesson to learn but one which they will certainly improve on in upcoming regattas. Tal Lewis had a great result finishing 3rd in the U19 single and says he’s feeling confident with his racing so far and looking forward to State Champs. Lauren Graham and Issy Furrer had a positive start to their season with a second place in the U21 and U19 pairs races. It was their first time racing pairs together and they dedicated their performances to Rex Cox who sadly passed away last year aged 98. Rex was a former club captain of the Southern Alps Ski Club and a legend on the slopes. The girls like to think of themselves as Rex’s Angels. 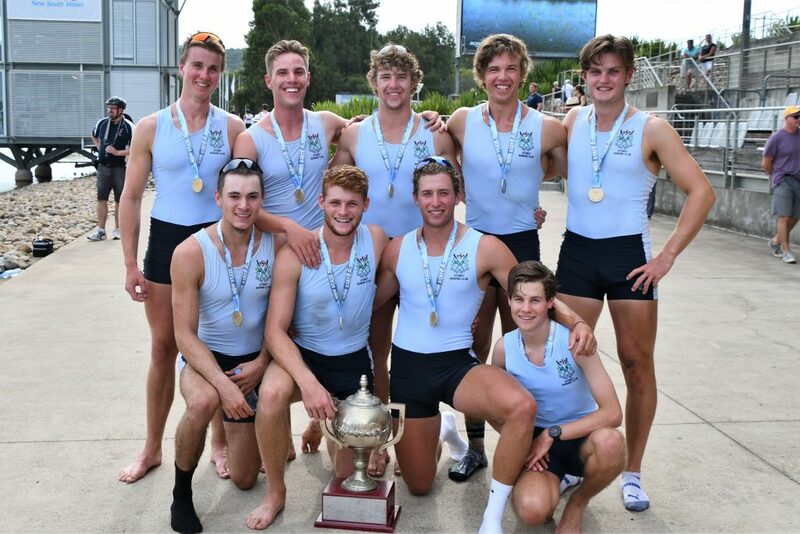 Wyatt Batt recently finished his schooling at Sydney Grammar last year and has joined SRC as one of our U21 lightweight men. He placed 2nd in his single scull which was a terrific start to what could be a very promising career. 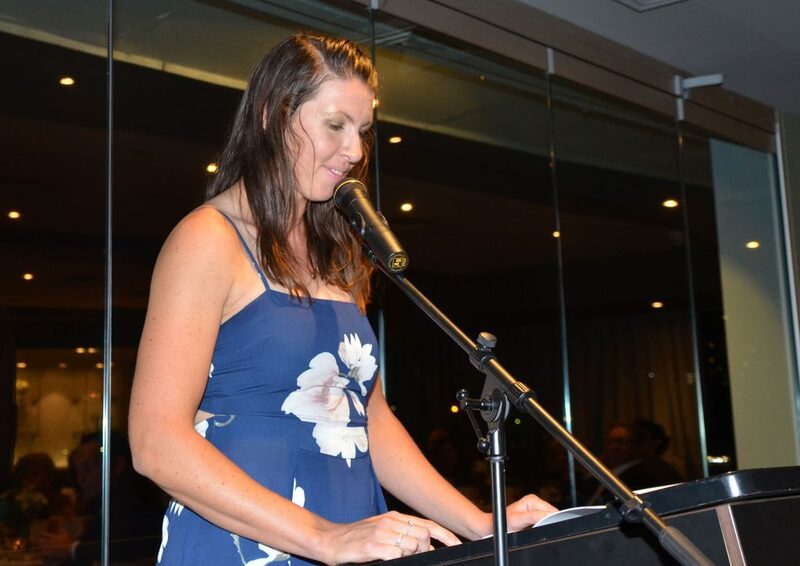 SRC’s annual regatta is on 24 February 2018 – we need volunteers. Click here if you can help.